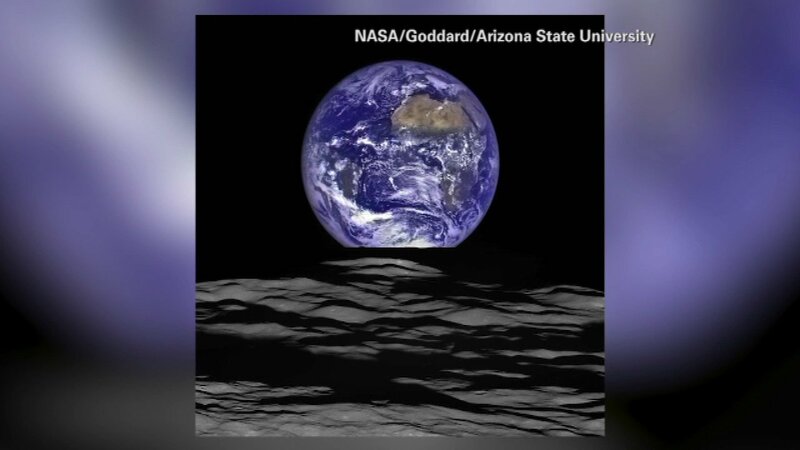 NASA's lunar reconnaissance orbiter recently shot a series photos from the moon to compose an image of Earth. In the photo, Earth appears to rise over the lunar horizon. The large tan area is the Sahara Desert and just beyond that is Saudi Arabia. The Atlantic and Pacific Coasts of South America are visible to the left in the photo.